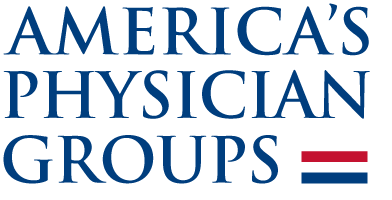 Attendees will make reservations with the Manchester Grand Hyatt (venue hotel) or Embassy Suites (overflow hotel) using the custom America's Physician Groups links available in the sections below. Your confirmation will come from the hotel immediately upon booking. Please note that America's Physician Groups does not use third party booking agencies. America's Physician Groups, the Hyatt, or Embassy Suites will not initiate contact with you by phone about making reservations. 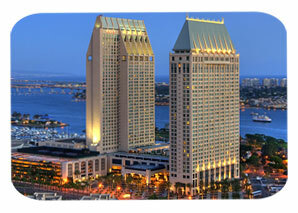 The Manchester Grand Hyatt is located at 1 Market Place in beautiful San Diego, California. A special America's Physician Groups rate of $309 per night (plus applicable fees and taxes), single or double occupancy, has been arranged. This rate is only available through APG Registration and is guaranteed up to March 21, 2019, or until our block of rooms sells out. Rooms are available on a first-come, first-served basis. We encourage you to reserve your space early, as rooms fill up quickly. Please reserve by March 21, 2019 using the link below. Click Here to Reserve a room at the Manchester Grand Hyatt. America's Physician Groups has arranged for a room block at the Embassy Suites by Hilton San Diego Bay Downtown, directly across the street from the Manchester Grand Hyatt (0.16 miles away). A special APG rate of $215 per night (plus applicable fees and taxes), single or double occupancy, has been arranged. This rate is only guaranteed up to March 22, 2019, or until our block of rooms sells out. Hotel rooms are available on a first-come, first-served basis. We encourage you to reserve your space early, as rooms fill up quickly. Please reserve by March 22, 2019 using the link below. 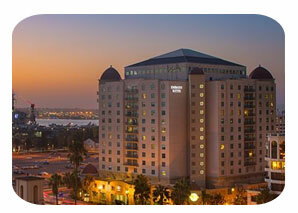 Click Here to Reserve a room at the Embassy Suites.